As a teenager, Dr Yeganeh Akbari became interested in dentistry due to the positive experience she had visiting her dentist. When she grew older, she knew it was time to decide on a career path. For her, dentistry seemed to be the perfect choice as it fulfilled his passion for both scientific learning and artistic expression. Dr Yeganeh Akbari finds it gratifying to serve and educate others to take charge of their dental and oral health. She loves helping patients improve their smile and achieve greater confidence in themselves. Dr Yeganeh Akbari graduated from the University of Melbourne with a Bachelor of Dental Science (honours) in 1991. That same year she won the University’s William Leslie Elvins Prize in Oral Surgery. She also undertook further studies in the field of Prosthodontics at the University of Melbourne in 1993. In 1998 she completed two years of training in orthodontics from McGann Postgraduate School of Dentistry. 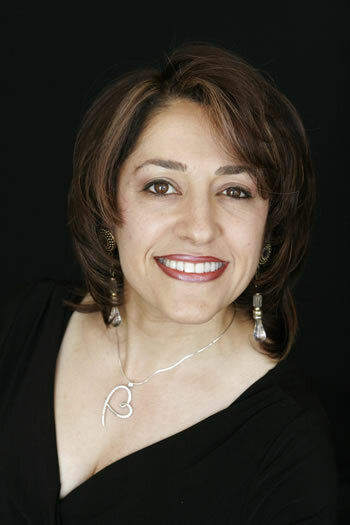 To give her patients the best care possible at Smile Creation, Dr Yeganeh Akbari regularly participates in continuing professional education courses, such as orthodontics, endodontics, cosmetic dentistry and implantology. Since 1994, Dr Yeganeh Akbari has been practicing dentistry and servicing the Bundoora community. She founded Smile Creation in 2002 and developed it into a thriving practice renowned and trusted for the quality of service it provides with a personal touch. In 2011, she sold the practice and continued working here for a year before embarking on a period of voluntary service overseas for two and a half years. In 2014, she returned to Australia and our practice as an associate dentist. The most fulfilling aspect of being a dentist is the ability to not only diagnose oral and dental problems and treat them but to rejuvenate and recreate more beautiful smiles using proven scientific and artistic principles. When she’s not at the practice, Dr Yeganeh Akbari enjoys playing the piano, reading and taking long walks in nature.